Benefit: Engine provides efficient performance that enhances productivity. Benefit: Premature wear to the belt drive system is reduced by preventing high idle engagement of the cutter drum. Benefit: This design can help boost productivity by decreasing the amount of trim cuts needed prior to processing. 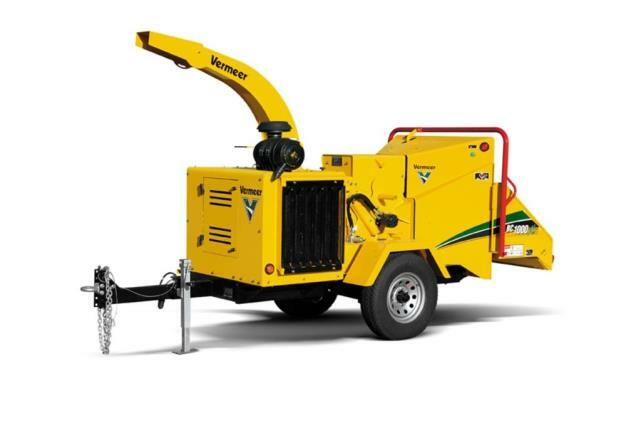 Benefit: This exclusive system from Vermeer helps increase operator productivity and reduces strain on vital engine parts, as rpm settings are adjustable and automatically monitored. Three rpm settings offer improved versatility for varying applications. Benefit: Helps to increase operator safety while feeding material. Knives 2, 4.5" x 9" x 5/8"
Bedknife 4-edge 1" x 3.5" x 17.25"
* Please call us with any questions about our chipper 10 inch vermeer rentals in Fallbrook CA, Temecula, Camp Pendleton, Bonsall, Escondido, Twentynine Palms and Northern San Diego County.